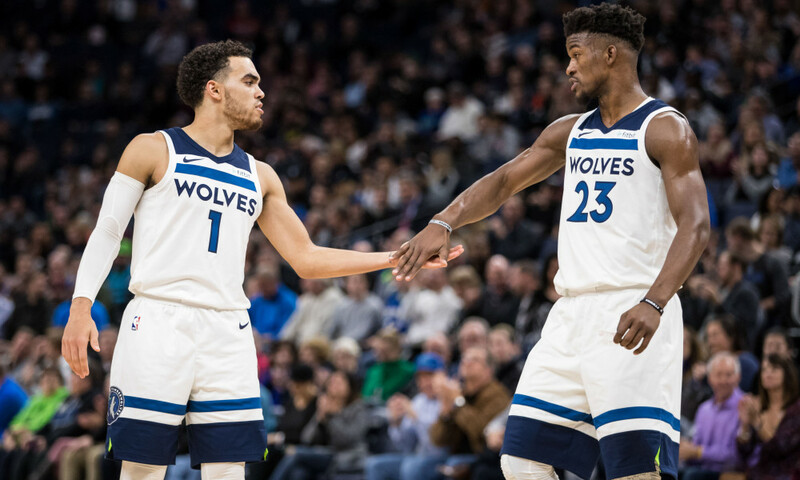 After all the shenanigans with Jimmy Butler surprisingly showing up to Minnesota Timberwolves practice, taking out his frustrations on his teammates, coaches and general manager Scott Layden, things have calmed down a little and Timberwolves owner Glen Taylor and Jimmy Butler came to an agreement that Taylor will continue to find a trade as soon as possible. Until that happens, Butler will be a good teammate and play as hard as he always does. Then, this past Wednesday, it was reported that Butler wanted to sit out games until he’s traded. After not playing on Wednesday, he started again Friday, sat out Sunday, but played Monday and last night. It’s very confusing, and to be honest, quite the mess. I fully understand if other teams are hesitant in trading for Butler. He has drama written all over him. The Heat’s trade package around Josh Richardson most likely would have been the best possible return for the Wolves. But they declined and apparently still are exploring options… only their asking price might be too high. But aside from Jimmy trying his hardest to get traded, he still is a very, very good teammate. At least if you ask someone not named Karl-Anthony Towns or Andrew Wiggins. The other day, Butler did something really nice for his teammate Tyus Jones. Jones’ younger brother Tre is playing for Duke and made his college debut on Tuesday night. Tyus didn’t want to miss it, but wasn’t able to get a flight that takes him there and gets him back in time for practice again. According to Jon Krawczynski of The Athletic, Jimmy Buckets came to the rescue and booked a private jet for Jones.